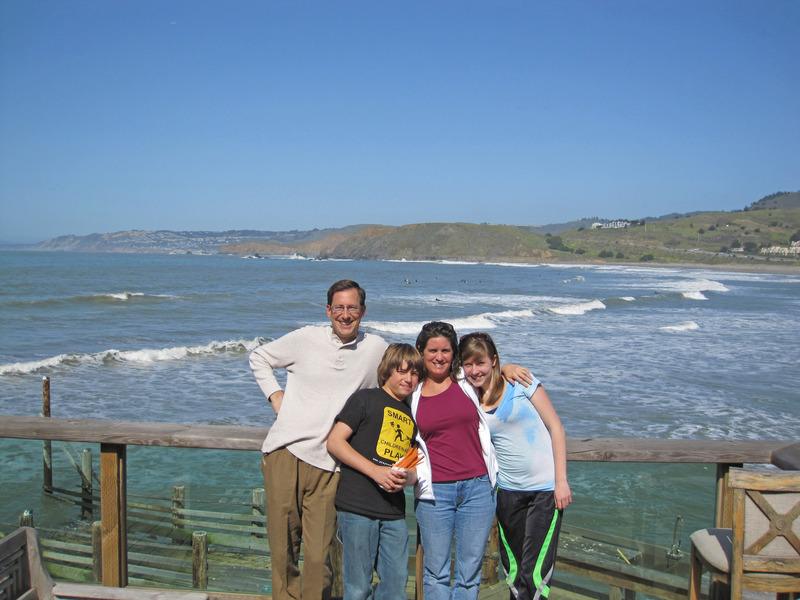 Randy, Ramey, Ari and Eli came to visit on 3/17/2010 to my Pacifica beach rental cottage. 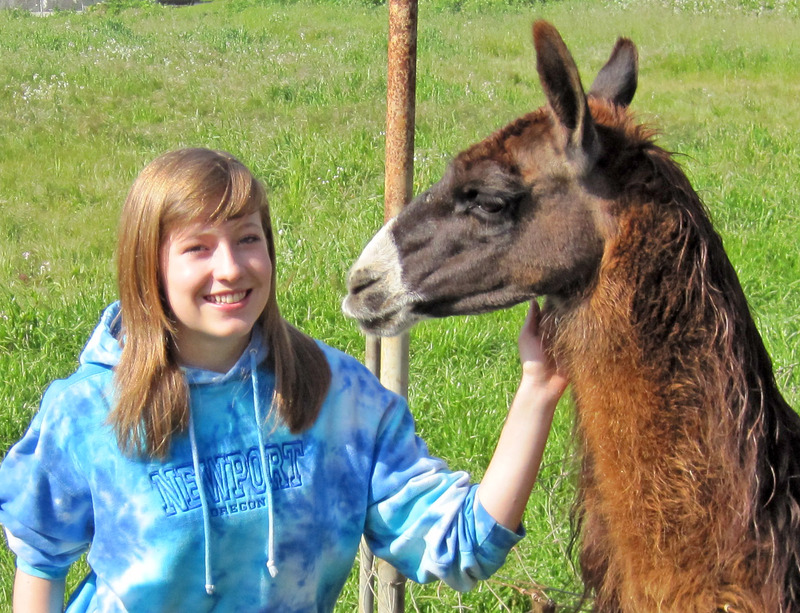 Below are some videos and pictures of them petting and feeding the Emu and Llama which are on the property. Click on any picture for a much larger version. 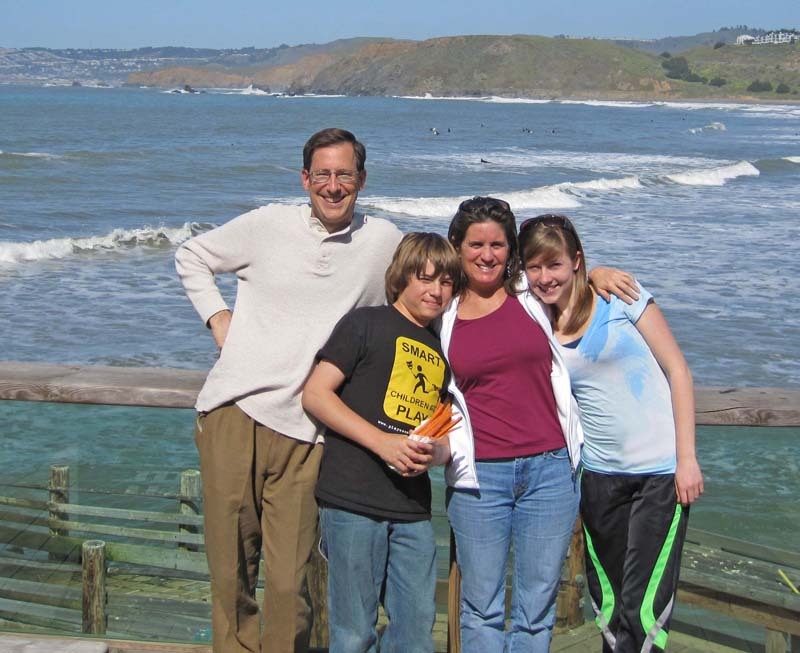 This first picture was taken of all the visitors that came on 3/17/2010. From left to right that is Randy Wilson (my brother), Eli Echt-Wilson, Ramey Echt, and Ari Echt-Wilson. 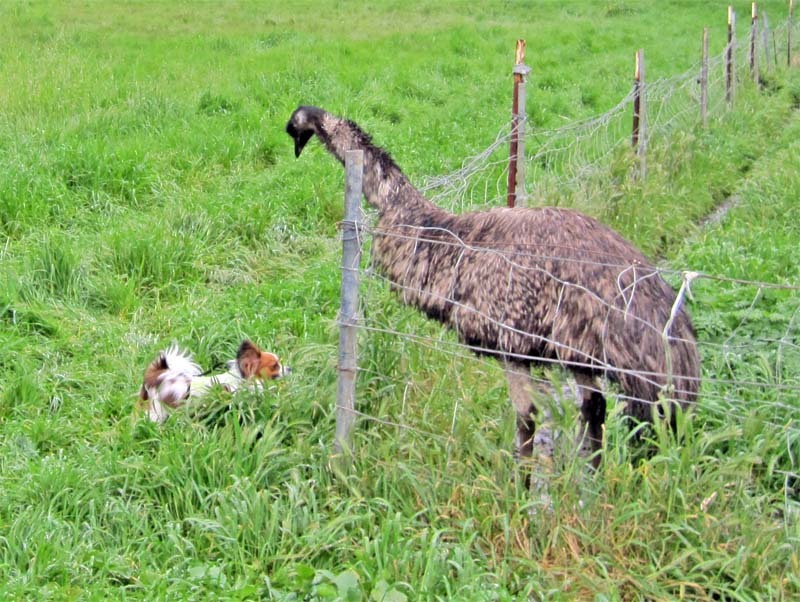 We started at first by feeding the Emu from a long plastic spoon to gain confidence he wouldn't bite us. 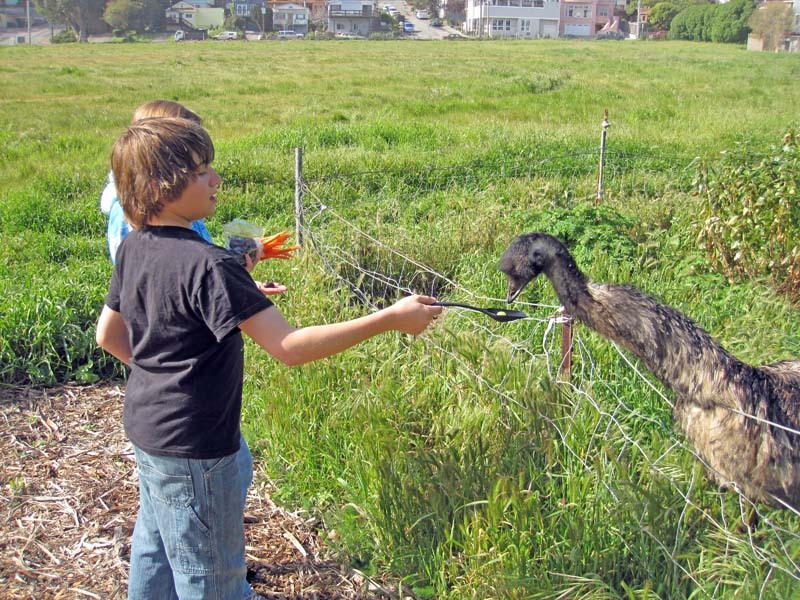 :-) Below is Eli serving the Emu a grape. 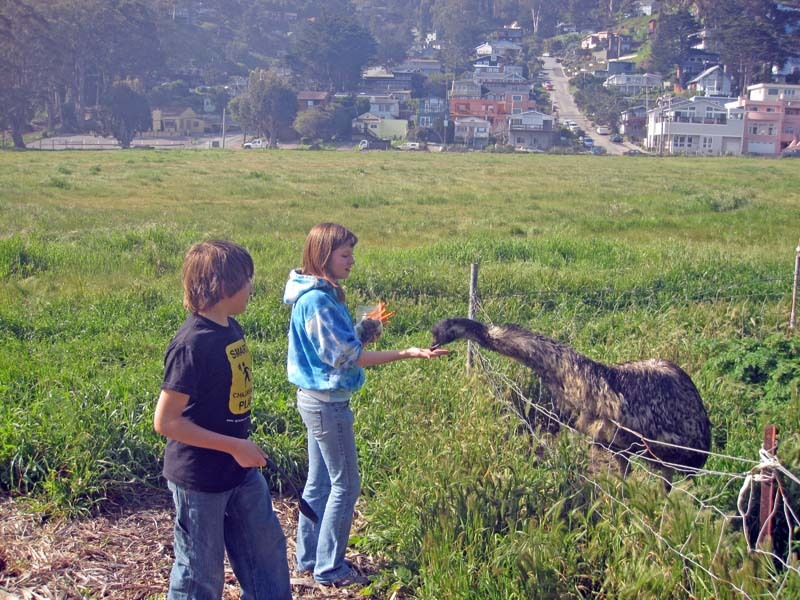 Later after we were sure the Emu was friendly, we fed it grapes out of our palms. 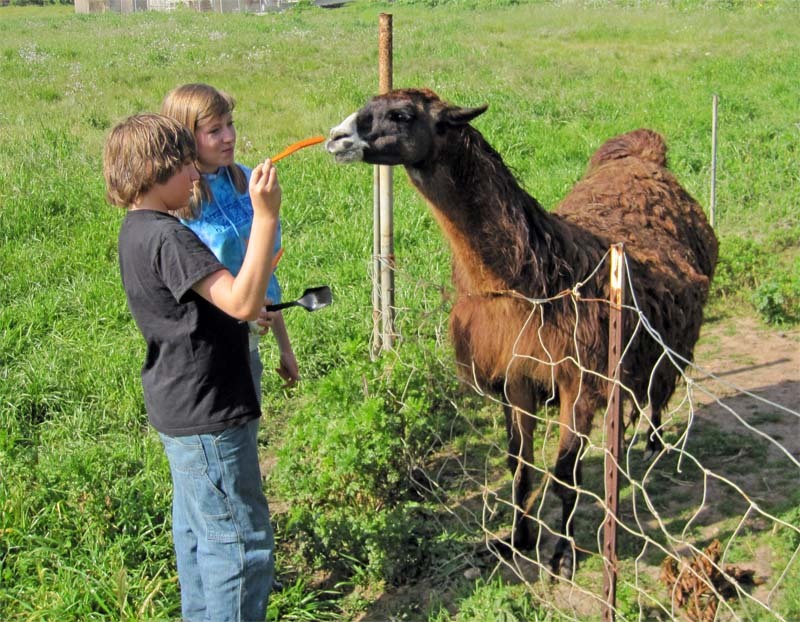 Below is Ari feeding the Emu grapes. 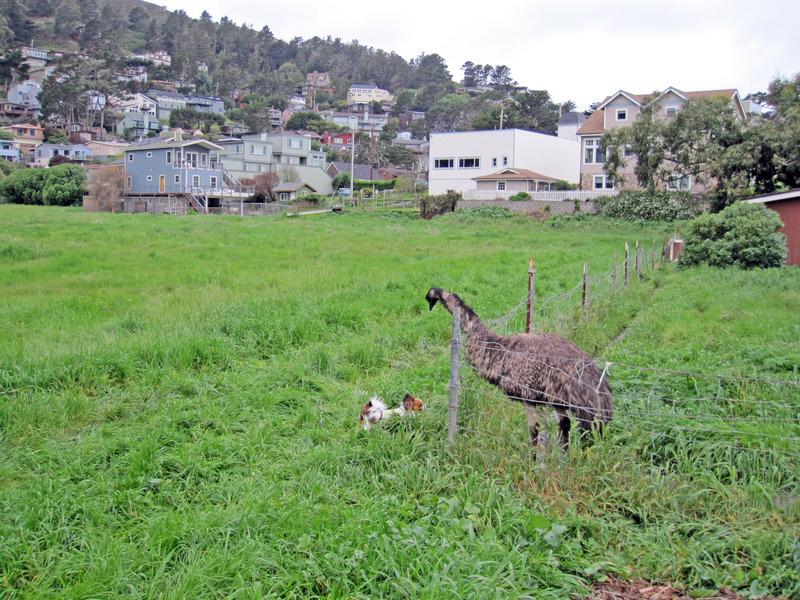 Next door to the Emu is a Llama. 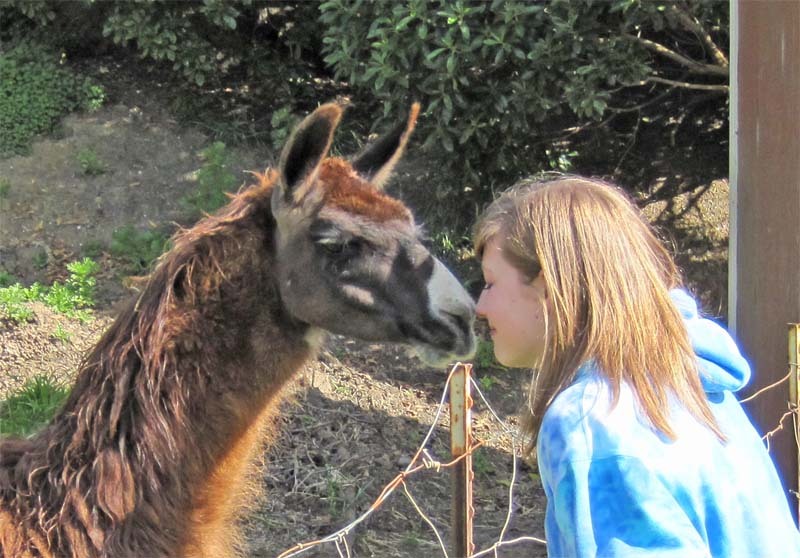 Jim Kibblewhite (the owner of the animals) explained that "hello" in the language of Llamas is to bend forward slowly with your hands at your sides and extend your nose out, and maybe sniff a little at the llama. 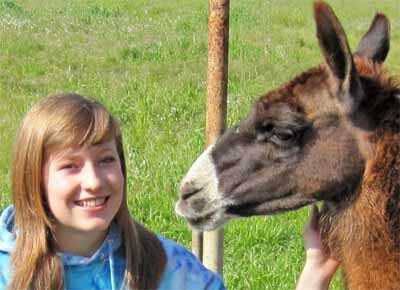 Below is Ari saying hello to the very nice llama. 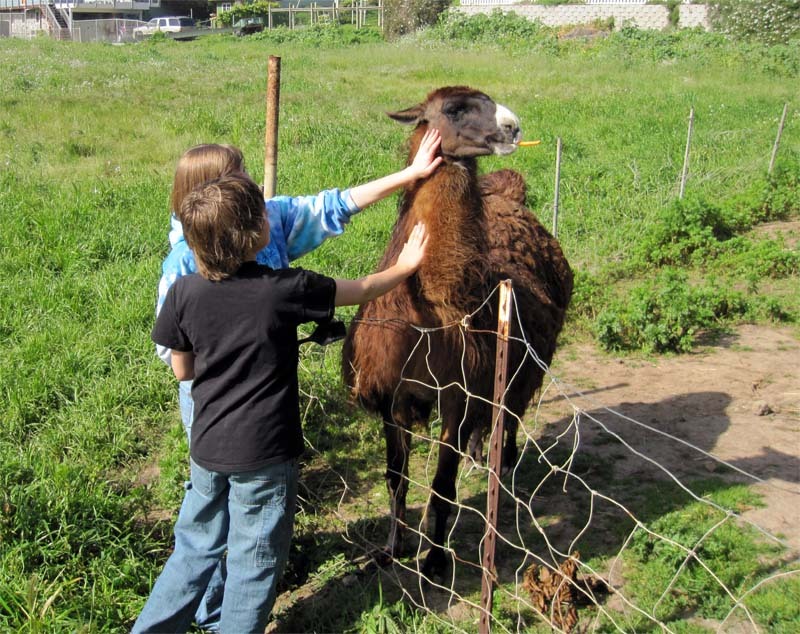 Here Ari and Eli both are petting the nice friendly Llama. 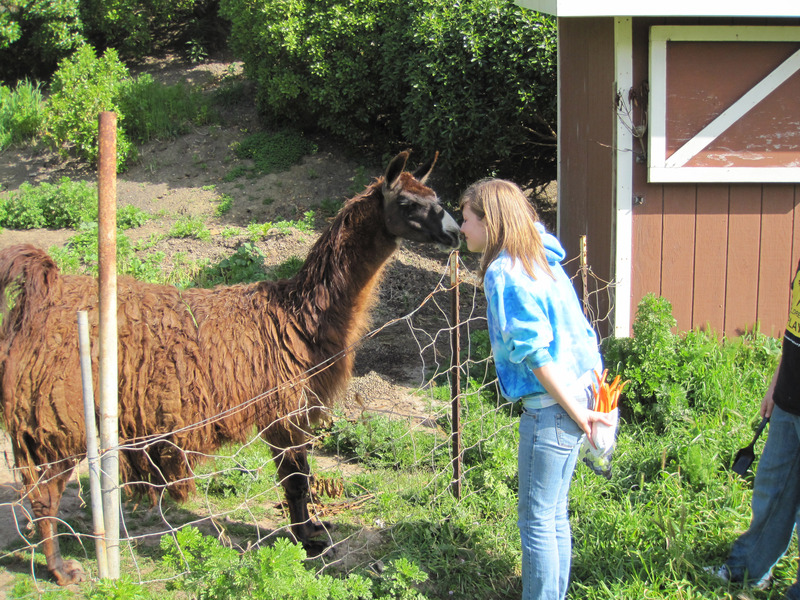 Here Eli is giving the llama a carrot sliver. 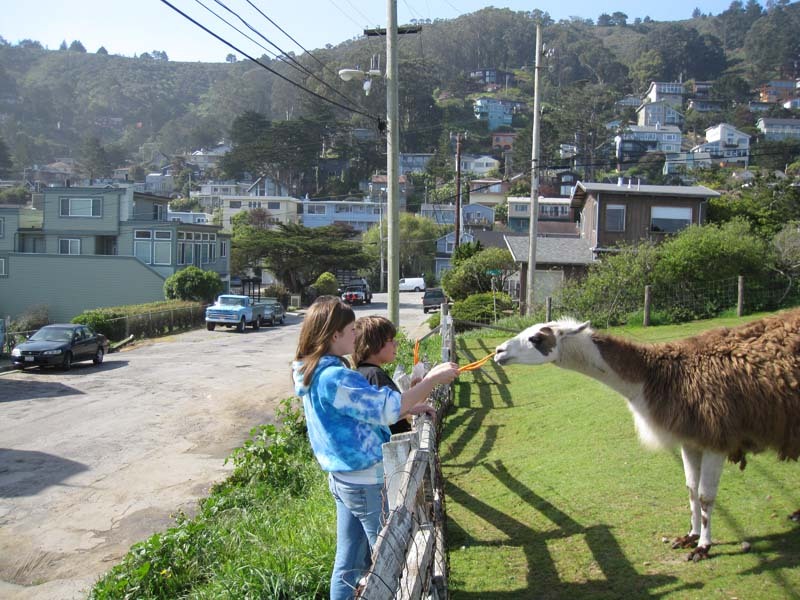 A block away are 3 more Llamas, we stopped to feed them some carrot slivers.